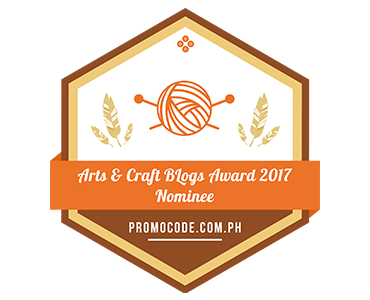 artsycraftsy exploration | Mabuhay DIY! I made my own soaps last weekend and it was such a magical experience. I wasn’t able to take a lot of photos because I was in the “flow” state, and totally enjoying myself. Here are some of the soaps I made. Top to bottom: Cool seasalt breeze, Garden blooms in Rose and Jasmine and Yin yang with activated charcoal. I plan on making more and selling these soon! Stay tuned! This has been a beautiful, art-filled month! I was able to visit Yuchengco museum for the trade fair for women’s month and we were lucky enough to access the museum that day for free! I love the page size, which is challenging but also manageable for making art, and how I can use both sides of the paper, how it’s sturdy enough. My eyes are happy with seeing all the beautiful inspiring pages using the hashtag #travelersnotebook in instagram. I was able to buy a book filled with Ed Ruscha’s handpaintes type art at Booksale. I have a lot of stories to tell you, concerning the highlights of the past few months–but sometimes time slips by so fast. I’m in the process of organizing my photos and memories, and here’s a sneak peek. Having a virtual memory trigger is one of the reasons why I love having my blog, especially since my memory seems to fail me more each day. Right now it is around 3 am in the morning, and our internet is so slow during the peak hours so I have decided to stay up late and post as many posts as I can manage, if the connection would allow me. It’s for my future self anyway, and a few years from now, losing a few hours of sleep for something you love won’t really hurt anyway. Every year, I try to attend as many arts/crafts events as my budget would allow. Those are my biggest investments: travel, books, materials and self-improvement. I get especially happy when the event is nearby so when they held Art Fair 2014 at The Link Makati, I immediately marked it in my calendar and waited for the day with bated breath. I have been to the previous one last 2013 and it was an unforgettable experience, which left me inspired and filled with wonder at the potential of some art materials. This year’s Art Fair was just as special. I had more time to spare this time and I took my sweet time, visiting all the booths and lingering in front of my fave pieces. Here are just some of my favorites. I’m fascinated with detailed work so my picks have astounding detail. These are by Patricia Perez Eustaquio, graphite on paper and glazed stoneware. Look at the textures she was able to create! Yayoi Kusama, because she is queen. I was able to watch two documentaries about her at the Ayala Museum and it made me love her more. She is one hardworking lady! I thought her paintings were digitally done at first because of how crisp and clean the edges were, but as it turns out, she paints each circle painstakingly by hand (!!!). Wow. This one by Iggy Rodriguez took my breath away when I approached it to study its construction. Entitled Dagit, it’s made of pen, ink, and acrylic on paper and sintra board assemblage. Reminded me of paper tole, but more badass. Did you check out this year’s Art Fair? What artworks were your faves? Exploring the Universe-California 2014: Pre-LACMA visit and cats! My LACMA post deserves another entry, but I’m sharing one of my favorite photos from that trip here. I loved this interactive artwork, and couldn’t help but hug these plastic thingamajigs as well, after I saw this kid doing it. It gave me a happy.